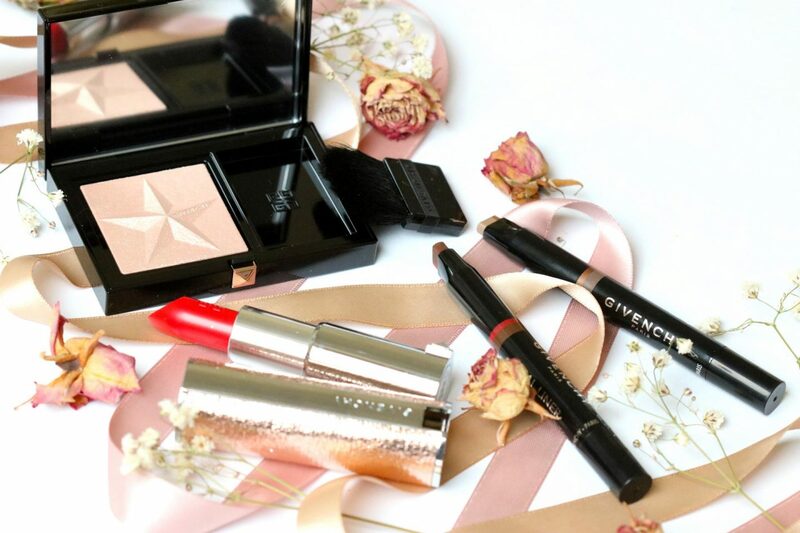 Have yourself a little beautiful Givenchy item for Christmas! I’m so ready for this festive season of the year. All the great food, quality time with your loved ones and the great Holiday Collections that are being released. 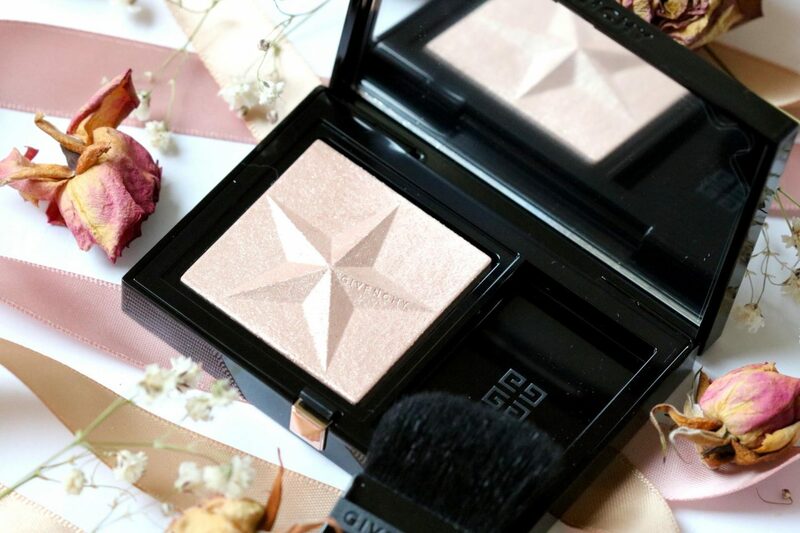 This year I’ve fallen in love with the Givenchy Holiday 2018 Mystic Glow because the products give me this luxurious feeling when I look at it: shimmers, gold, stars and reds. And can we all agree that you can never start too early with Christmas? 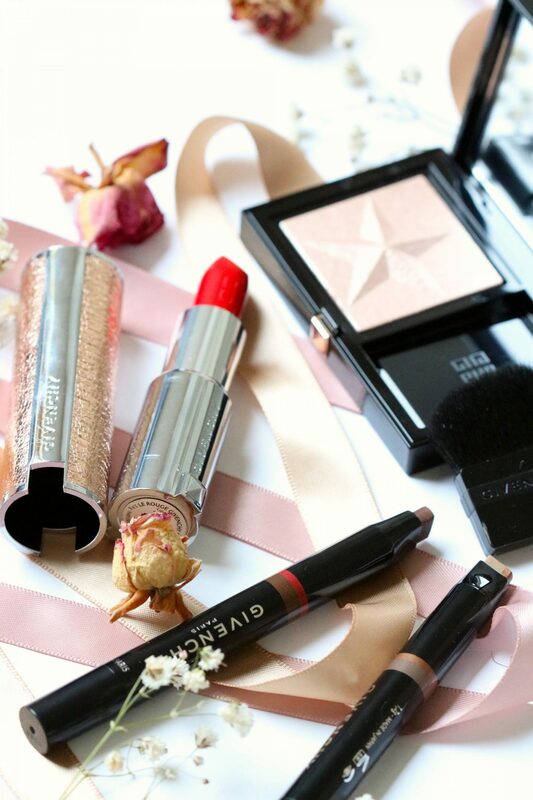 Le Rouge is an iconic lipstick for Givenchy. 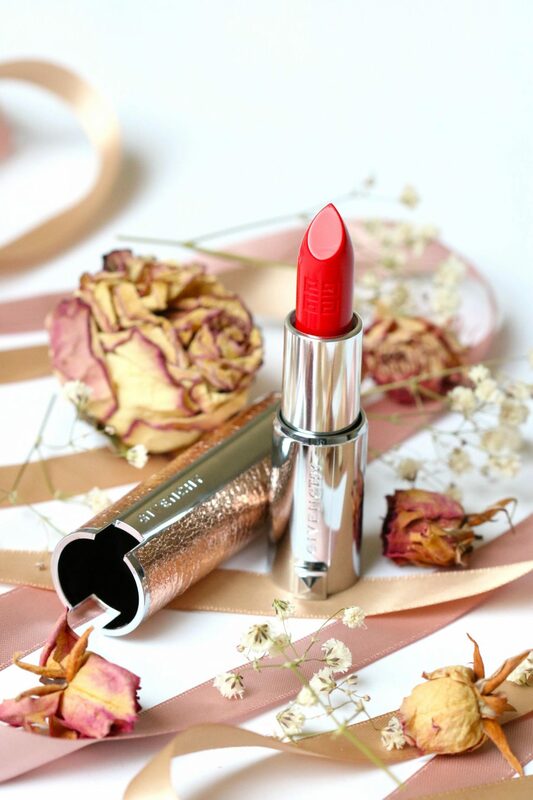 This Christmas the lipstick is packed in a beautiful gold, almost leather looking wrap. Just like you received a gift! When you open the cap you will find the beautiful shade named 306 Carmin Escarpin which is a mat red shade with a small amount of orange. It is not your regular red for Christmas but it kinda feels like it is a shade that you can wear all year-long. It is a mat lipstick but to be honest it feels more like a hydrating lipstick. My lips look mat but when you squeeze your lips they won’t feel dry and the products moves on the lips. Dry cracks on your less are less visible and the product doesn’t get stuck in between the fine lines. I would say it is a mate finish with the feeling of a balm.I have to say that the lipstick is super long-lasting because it survived popcorn, drinks and even Chinese delivery food. The lipstick did disappeared in the middle of my lips but with a quick touch up it looked fresh again. Usually I’m really afraid to wear red shades on the lips, but because it is not an “in your face” kind of red it will be perfect for everyday! Oh dear, this Mystic Glow highlighter it everything. When I opened the palette I was amazing by the beautiful printing in this powder. How can a human being resist this stunning item? The first thing I did was taking a lot of pictures of it before I dipped my brush into the powder. You can see a 3D star with ”Givenchy” printed along the side. The powder looks silver but it actually has a small amount of pink/peach into it. On the swatch you can see that it is overall a more silver finish, but when on the skin (and different light) it starts to change. That’s why the name of this powder is Mystic Pink, duhhhh. I absolutely love this highlighter! 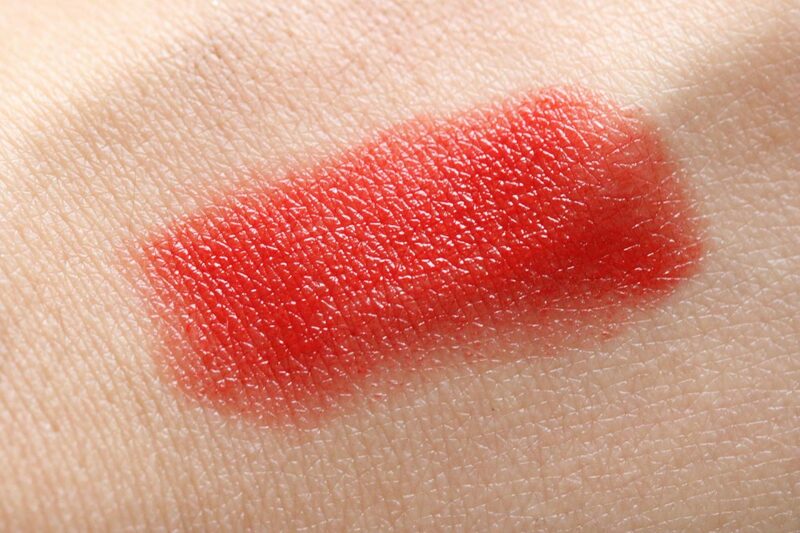 It is subtle, smooth, no harsh shimmers and it stays forever. Not even talking about the amazing packaging, because that deserves an award. 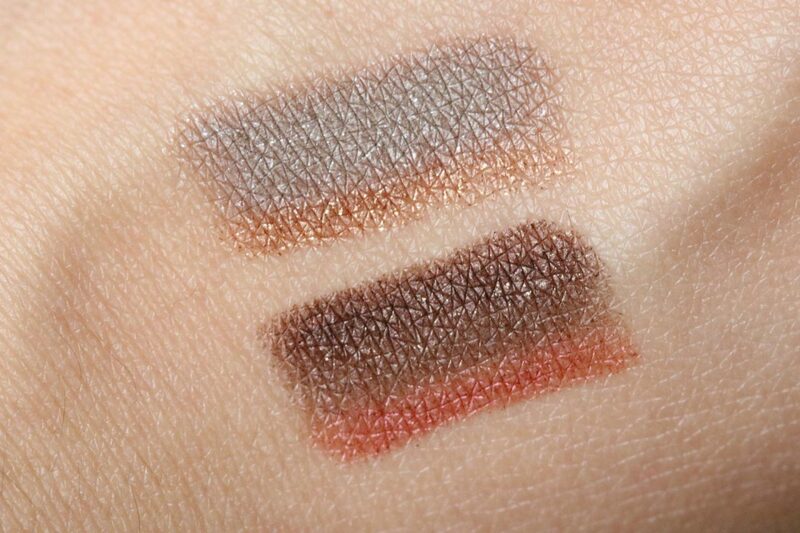 When you have to get up early for work or school, I prefer an eyeshadow stick. Quick and easy with maximum results. Did you ever heard of an eyeliner+eyeshadow in one? I didn’t. I was blown away when I got this: how do they come up with these things? Honestly I was a bit skeptical, especially about the application of this stick. The shade Mystic Red has a red liner with brown/shimmer eyeshadow and the Mystic Gold a gold liner with silver/shimmer eyeshadow. I prefer the gold liner with silver shimmer eyeshadow because, oh well I never use a red liner. I did try it out as you can see in my makeup loop underneath but personally I’m not feeling this combination. 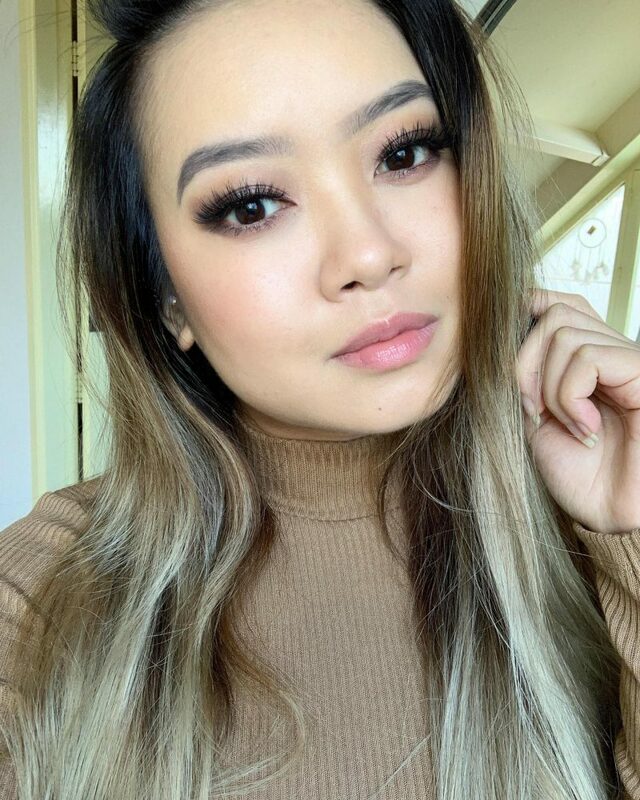 When I applied it on my eyelids (the red and brown) I had this stroke that looked just perfect, but when I look at my makeup selfie the sides of the eyeliner aren’t blend out. Reminder: next time use your fingers to blend out the edges on the side. So far so good, it is easy and quick and you only need your fingers to blend out the edges. It was no problem at all to get the eyeliner at the perfect place, just get the pencil from left to right two times and you have it! Overall I’m such a sucker for beautiful packaging of the Mystic Glow Holiday Collection. Givenchy already stole my heart once this year when they released their famous powder with the black/flower cap. 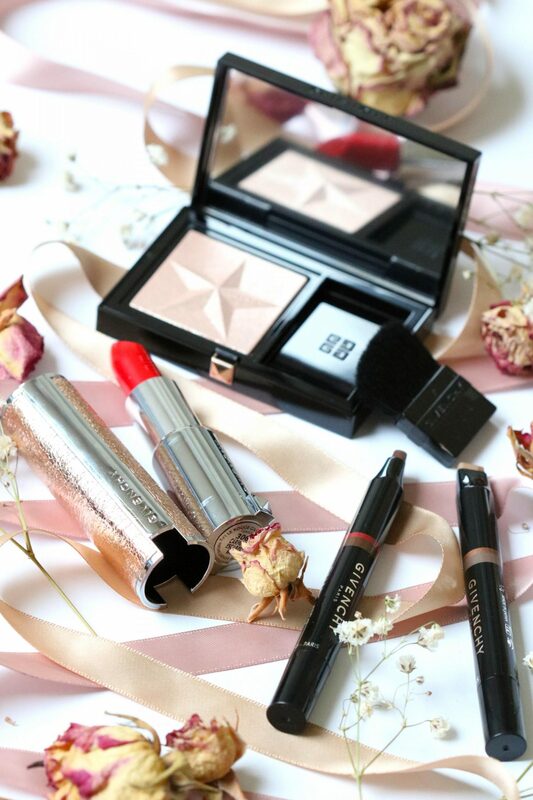 This time the highlighter and gold packaging is making my heart melt. 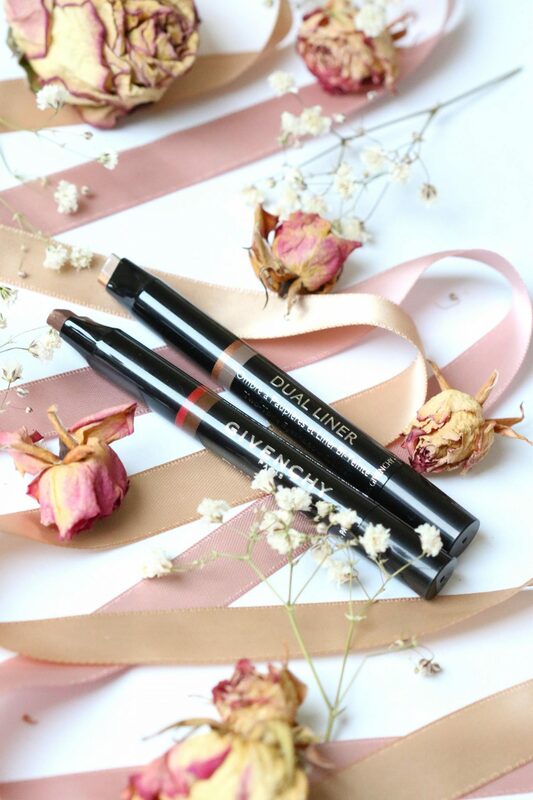 I just love the lipstick tube, I might will even use it for Christmas because it made me feel gorgeous and it is long-lasting (great when you are eating all day). 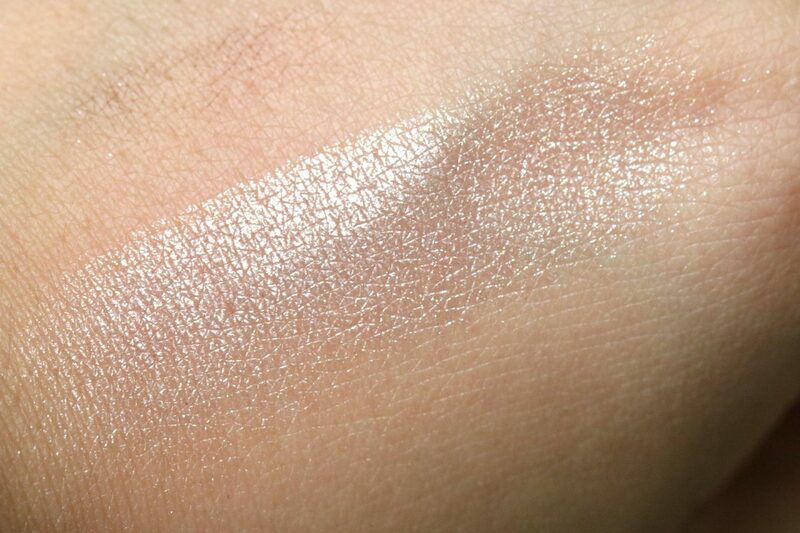 The highlighter has the most beautiful powder pattern, I can look at it all day. The powder feels amazing on the skin, super smooth and no harsh shimmers. It will create this perfect glow. 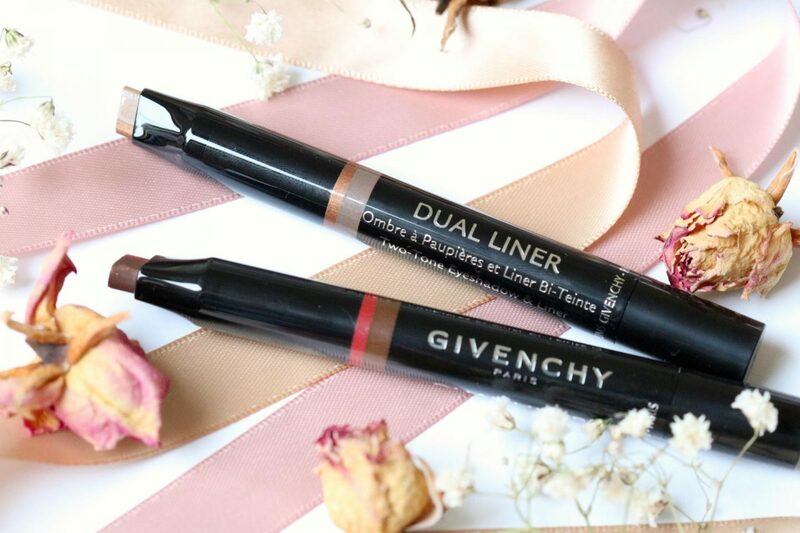 The duo liner and eyeshadow stick are my least favorite because I think it is a fun idea of combining an eyeliner to the stick but it doesn’t make it look better than a regular eyeshadow stick. 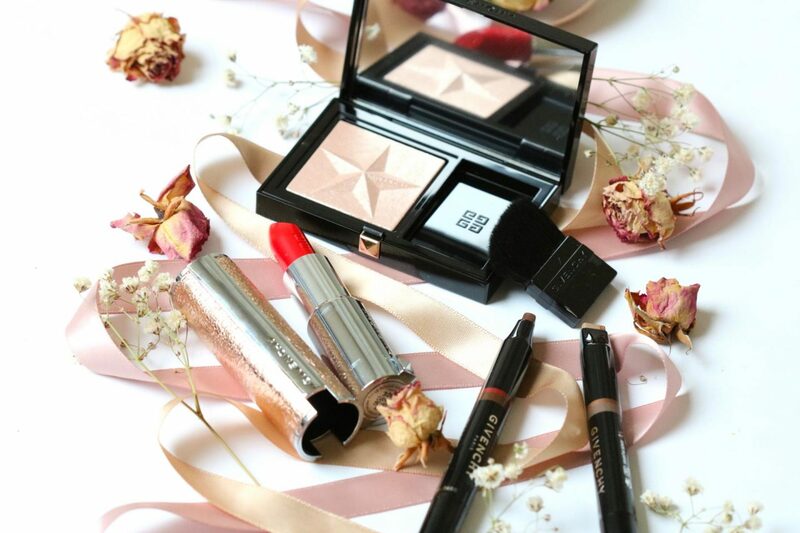 I have got to try some givenchy makeup! 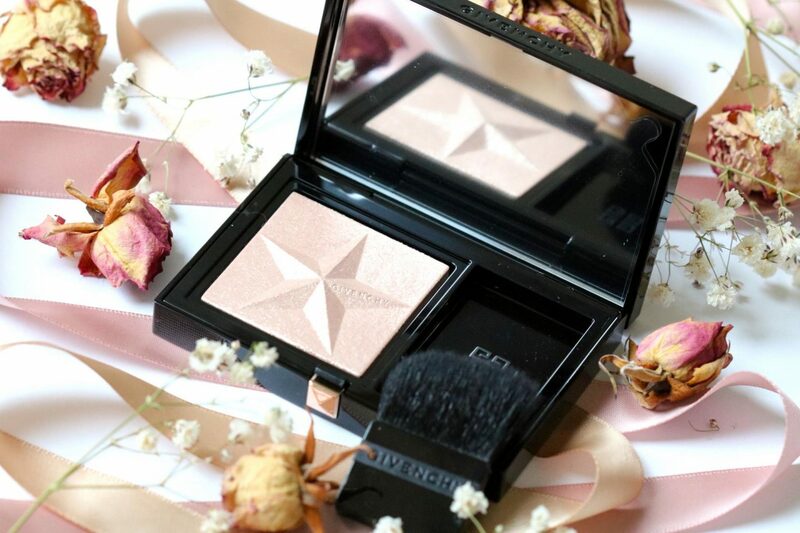 That glow powder looks especially gorgeous and I always hear so many raves about that brand. It’s definitely one I’ll be trying in 2019!